Getting behind the sound bites with a potential future Taoiseach. 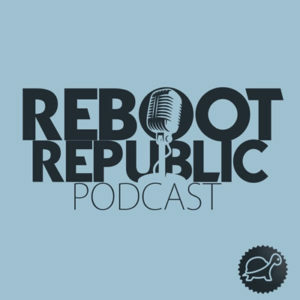 This Reboot Podcast, the first of six upcoming shows focusing on how we can achieve a fair & more equal Republic, is an open and honest conversation with President of Sinn Féin and TD for Dublin Central, Mary Lou McDonald. We talk about both her and Sinn Féin’s vision for a Republic of Equality & a rights based society, Brexit and the European Projects democratic deficit, as well as new movements for social rights in the North. Asking the challenging & important questions, we got open and honest answers from a reflective and inspiring Mary Lou, on the perils, potentials and the urgent necessities of entering government. Mary Lou outlines her reasoning for an inclusive culture of the political left, the need to unite to achieve real tangible change for those the recovery forgot, as well as the working and middle classes. We also discuss women in politics, grassroots activism and the growing thirst for a real Republic of Rights that involves a civil society movement of trade unionists, enviromentalists, artists and spreads beyond the single party politics. There is a space for a hopeful and optimistic politics of the Left. There are real world policy alternatives and the time to offer a vision to the wider electorate beyond the back and forth pendulum of Fianna Fail – Fine Gael is now. This platform costs and these podcasts rely on you. For the price of a cup of coffee you can help us keep producing them AND get extra insights as well as the opportunity to shape the story. Posted in Brexit, culture, economics, Feminism, history, Housing, human rights, media, podcast, politics and tagged Reboot Republic.